At the starting line, ready to go. Don’t tip over! Despite the body roll and lack of power, this old girl did really well and we had a lot of fun. 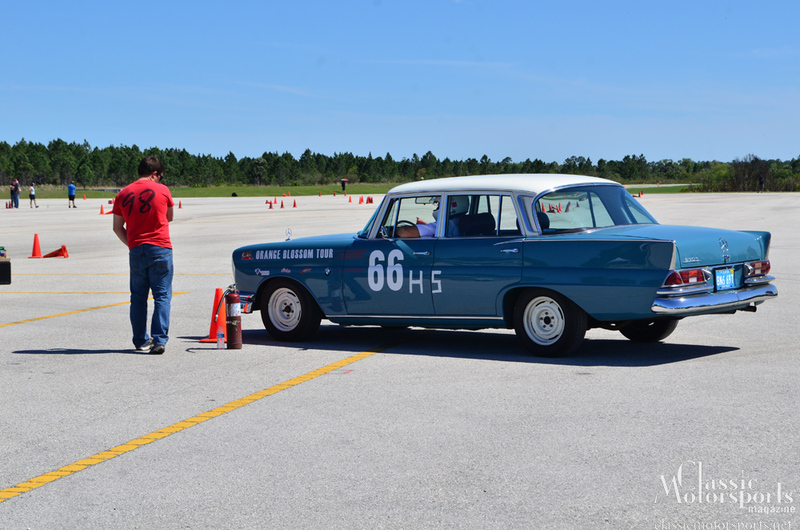 We decided to autocross our now-finished Mercedes-Benz 230 S project car, so we checked our tire pressures and fluids and entered an SCCA autocross in Central Florida. In the pits, everyone was pointing. 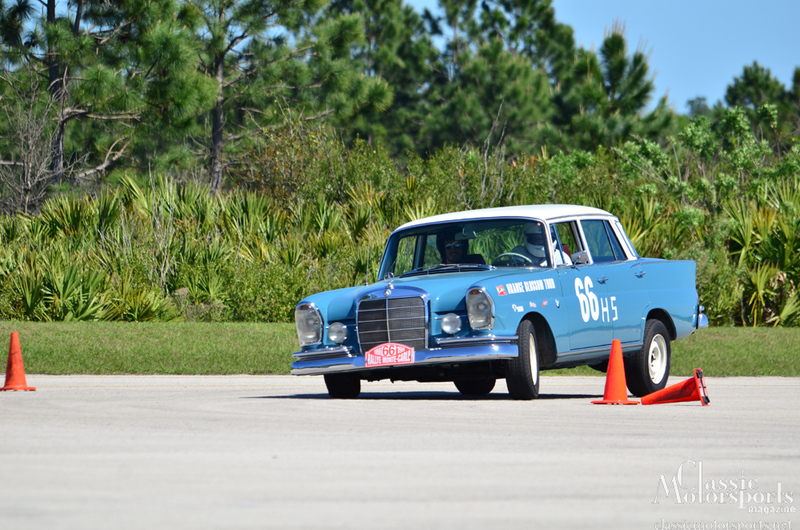 It had been a long, long time—if at all—that any of these autocross enthusiasts had seen an old Mercedes sedan driven in anger. At the starting line, we did not know what to expect. Would the car embarrass us? Would it instantly just roll over? Once on course, we were pleasantly surprised. It was no speed demon, but the chassis and brakes felt truly remarkable. Sure, there was some body roll (okay, a lot of body roll), but overall the car was easy to drive. The power steering worked well and didn’t bind up, when pushed. Plus, the back end did not come around, and understeer was minimal. Our rear disc brake conversion made our brakes stellar. This thing stops like a modern sports car. We didn’t win, but we didn’t lose. It didn’t take long for participants to come snooping around to see how this car was doing so well and to ask if they could get a ride. All in all, it was a good, fun-filled day. You really can autocross your vintage car—as long as you have your mechanicals in good order.